If you have still not invested in Infrastructure Bond for FY 2011 – 12, you are further spoiled for choice. SERI is latest entrant offering 8.9% – 9.15% interest per annum. 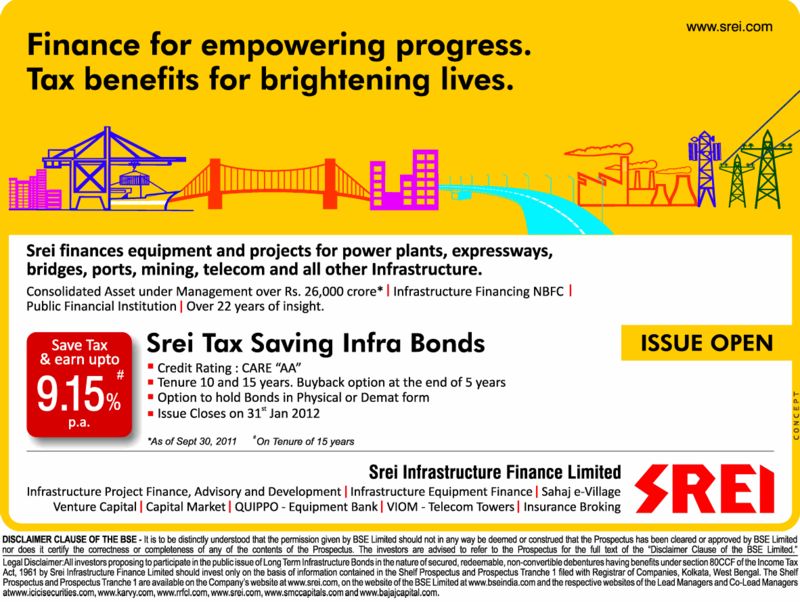 The returns of SERI Infrastructure Bond is comparable to REC & IFCI Infra bonds and you have an option to invest in any of the three. But still I would prefer Government backed companies – REC & IFCI given that everything else is same. You can read about yields and other details about infrastructure bonds here. 10% SREI Infrastructure Finance NCD – Sep 2016 – Should you Invest?